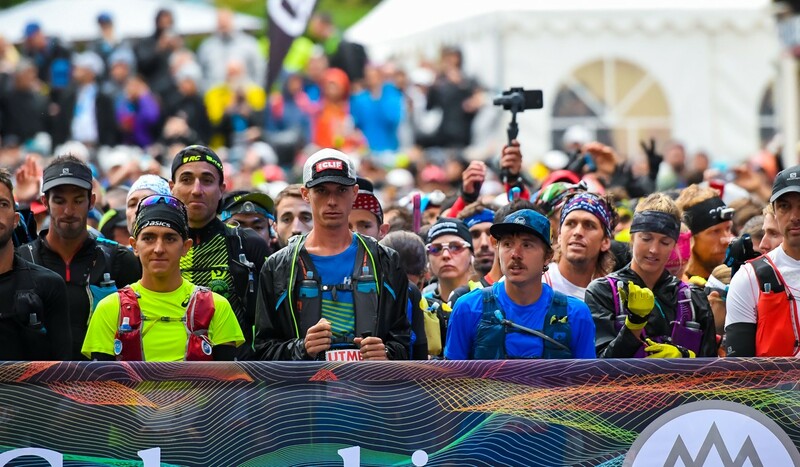 This year’s line-up at the 170-kilometre Ultra Trail du Mont Blanc (UTMB) was touted as one of the strongest – but the supposed duel between Spanish legend Kilian Jornet and American hotshot Jim Walmsley never happened, while superstars such as Mimi Kotka and Magdalena Boulet were felled by injuries. Almost none of the big names, who before the race basked in the light of the cameras and churned out autographs, even finished. The exception was diminutive Frenchman Xavier Thevenard, who quietly coasted to his third UTMB win, in 20 hours 44 minutes and 16 seconds. An unknown Romanian, Robert Hajnal was in second in 21:31:37, with Spain’s Jordi Gamito third in 21:57:01. Thevenard is a local, and the inhabitants of this mountainous Savoy region, can feel it in their gut when humans are not being humble enough in the mountains. 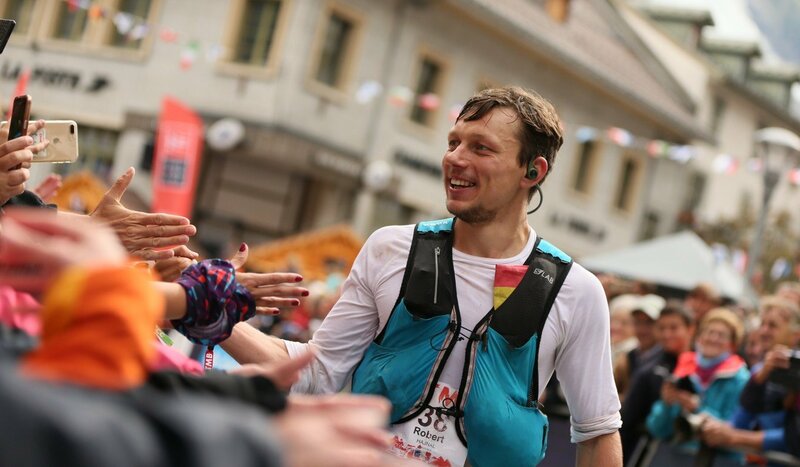 Xavier turned his back on publicity and made no predictions before the UTMB. He was right – the irate Mont Blanc Massif threw foul weather at the runners. The temperatures on the high ground dropped to minus 10 degrees Celsius, with low cloud, rain and high winds. The trails became skating rinks. Not a day to take liberties on the course. “What is he doing?! This is ridiculous!” Keith Byrne, the UTMB Live TV commentator and expert on the race, was aghast – Jim Walmsley’s long legs were eating up the racecourse with pace and form that befits a 5,000-metre road race, not a 100-mile mountain ultra. “I don’t think anyone in the pack who was chasing Walmsley at the start of the race even finished,” said Byrne. 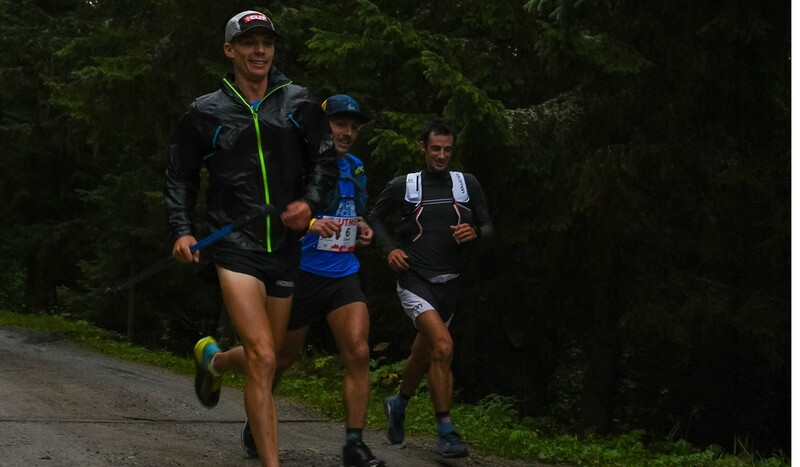 Walmsley eventually found himself in the unfamiliar territory of 19th place after 80km and called it a day at Champex-Lac, at 120 kilometres – spent. Champex-Lac was also as far as Mont Blanc allowed another American pre-race favourite Zach Miller to go. Miller stumbled out of the checkpoint tent in a strange lopsided walk, face contorted into a grimace, but the American soon returned to the checkpoint and called it quits. “Both his mind and his body just went, he ran himself into the ground,” said Randy Gaylord, another UTMB Live TV commentator. The slippery surface, combined with initial speed described as “nuts” by Gaylord, saw a lot of falls, several of them race ending. American elite runner Alex Nichols, second at HK100 this year, fell at the start, and the cut he sustained contributed to him being unable to continue after 50 kilometres. Tim Tollefson, a great favourite this year with two previous third place UTMB finishes, fell badly during the night and pulled out in the morning. Kilian Jornet is the favourite at almost any race he enters, but his UTMB bid was brought to a premature close in bizarre circumstances. It was not weather or a fall but a bee. Stung three hours before the race, he suffered an allergic reaction to the treatment and had to stop after 90km. Mont Blanc showed no mercy to the women’s elite either. 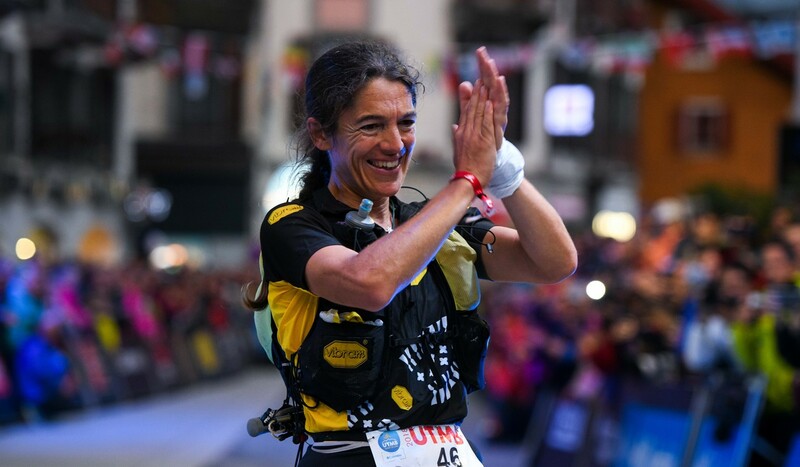 Caroline Chaverot, the 2016 champion, pulled out with hypothermia at the 100km mark. This year’s favourite, Mimi Kotka from Sweden, went out with a knee injury on kilometre 30. USA’s Stephanie Howe had to be evacuated by helicopter, so severe was her fall, and her fellow American Magdalena Boulet took another horrendous fall and stopped at Lac Combal at 66km. The women who got to the finish in the first three positions had the combined age of 136 and they all finished within 12 minutes of each other. The winner, Italy’s Francesca Canepa, is 47. A former elite snowboarder, who completed the racecourse in 26:03:48, Canepa started running at the age of 40. 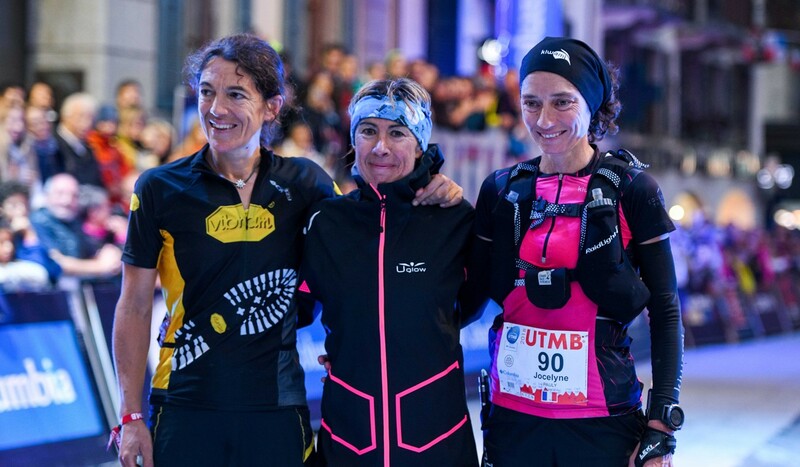 The runner-up, in 26:08:07, was 44-year-old Spaniard Uxue Fraile Azpetia, and a 45-year old Frenchwoman, Jocelyne Pauly, was third in 26:15:11. Canepa’s approach was an antithesis to the strategy employed by the men’s elite. The Chinese athletes were unable to repeat their earlier success over the 170km distance, having stormed to the podium in the CCC and OCC – in the female category Xiang Fuzhao, third in HK100 this year, finished 20th, while in the male category, Li Kuo, a Columbia athlete, was 23rd. Eric Tang’s 27:25:32, in 59th overall position, was the best UTMB result by a Hongkonger this year.